Two observations of double-deck operation. before transfer down to N&D at Derby. The vehicle originated with the Kentish Bus operation and began life as their fleet number 535, working on contracted services in south east London and north Kent, for what is now Transport for London. 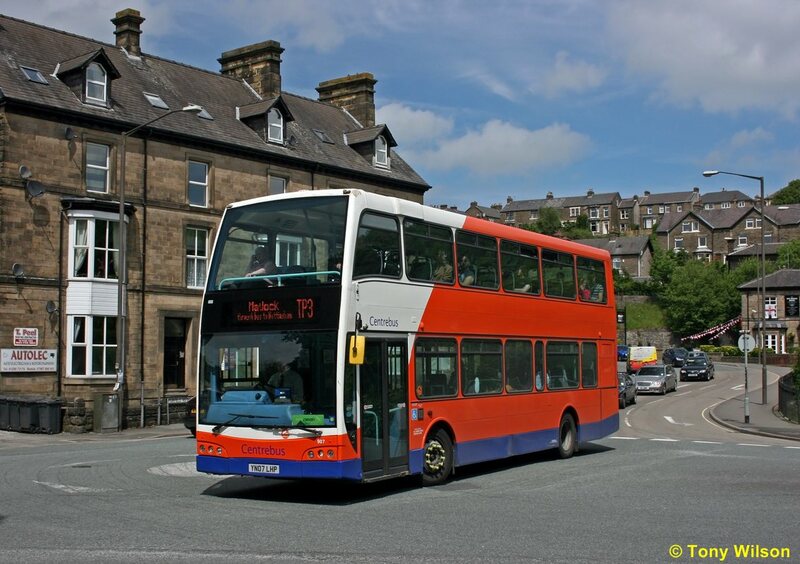 The bus is illustrated as it passed down Park Road, Chesterfield on an inward morning journey from the Buxton, Bakewell and Matlock areas. Below is another member of the fleet, seen in Chesterfield town centre. This vehicle retains the centre door. Around the same time another Wellglade operation, the new High Peak Bus Company have had yet another former refugee from London on loan. 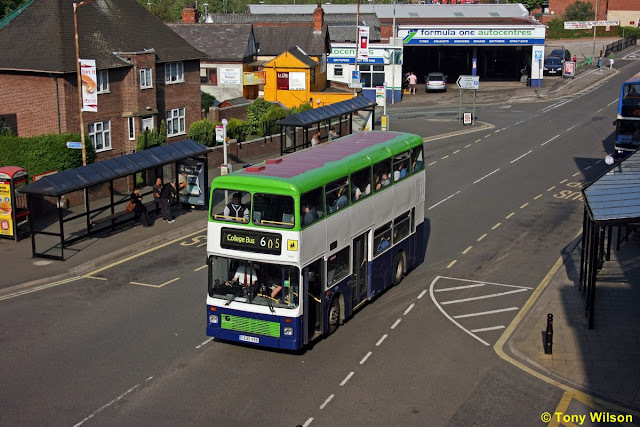 In order to evaluate the use of double-deck operation on the long Transpeak route (Nottingham-Derby-Matlock-Buxton-Manchester), a Scania N230UD with East Lancs Olympus bodywork has been used predominantly on the 0910 ex.Nottingham and 1315 ex.Manchester departures. However, owing to the route running mostly north west in the morning and south east in the afternoon, it proves rather difficult to illustrate the nearside on a sunny day. However, as luck would have it the approach into Buxton from Manchester on the afternoon run combined with a lack of traffic, the sun high in the sky and a following wind (! ), the nearside aspect was captured, mainly in order to illustrate the conversion from dual to single-door configuration. The bus wears Centrebus white and orange livery for the time being, but was previously in the red London livery applied by the Transdev subsidiary London United, when it was acquired with eight others for service on routes in central and west London, where it operated as their fleet number SO1.